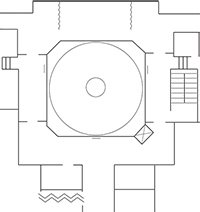 Although non-departmental SAP rooms are available on a limited basis, the Department controls only one classroom (3-329, small seminar room with plasma screen) and we rely almost solely on Institute rooms. To make non-classroom reservations for 3-329, the 7-338 (Stella Room), 7-429 (Long Lounge) or the pinup areas visit SAP's online room request system (DUSP rooms can also be booked for non-classroom reservations). Classrooms for your regularly scheduled classes are requested during the scheduling process when completing the Subject Scheduling Request. After the scheduling process, requests and change requests should go to Tonya Miller. Please note that DUSP classroom availability is not known until very close to the start of each term. We recommend that you request a room with your desired attributes during the scheduling process and then check with Tonya near the start of the term regarding DUSP room availability. 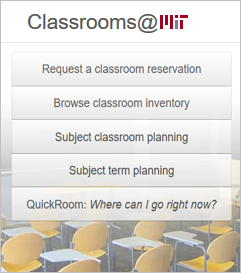 Visit Classrooms @ MIT for specifications of rooms with photos. The Schedules Office will give classroom priority to those conforming to the standard schedule listed below. 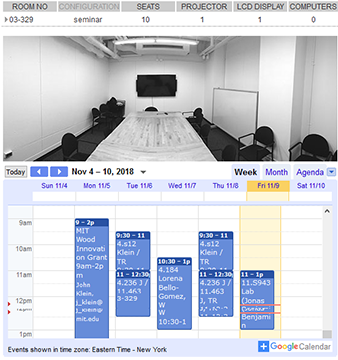 Classes scheduled in the early morning, after 4 PM and on Fridays will have a broader option of desirable classrooms. We ask for your clarity when requesting a classroom and flexibility when a specific room is not available.